Beneficial insects in your xeric garden range from microscopic mites to gigantic dragonflies catching mosquitoes and other prey on the wing. Observing their habits and ways can give amazing insight into the hidden kingdom, if you can spot them. Many beneficial insects are cautious, remaining hidden for the most part, emerging after dark or only fleetingly. Others rely on mimicry to remain unseen. Many others are fleet of wing or foot, enabling them to quickly catch their meal of other insects. 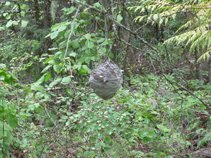 Wasps of all descriptions devour many pest insects and caterpillars, carrying them back to their papery nests or underground burrows to feed their young. 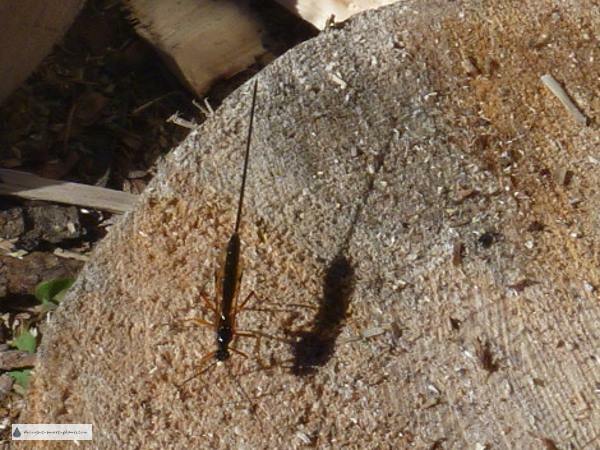 The many kinds of Ichneumon wasps have an extremely long ovipositor which they use to inject their eggs deep into cracks in old logs, enabling their young to hatch out into a veritable pantry. The larvae parasitize beetle larvae living in the logs, killing them. Some insects that we refer to as beneficial are not predatory, instead pollinating our flowering shrubs, trees and other plants. These pollinators are a critical part of the food chain - without them, many of our crops would not survive. Butterflies and wild bees are really important - build a nectar corridor to keep them around, and build mason bee houses for them to nest in. 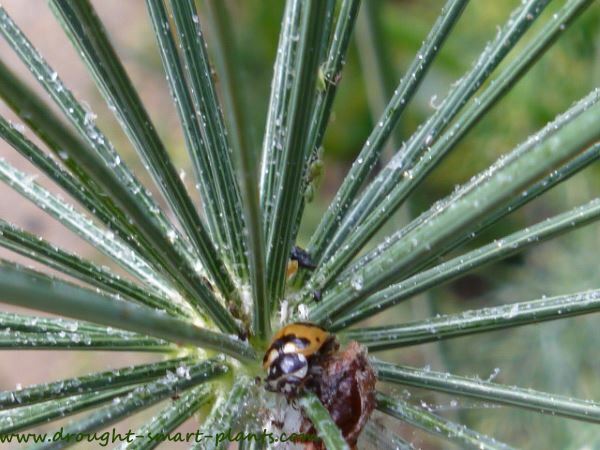 Some predatory insects such as Ladybugs consume their weight in aphids, especially the larvae. 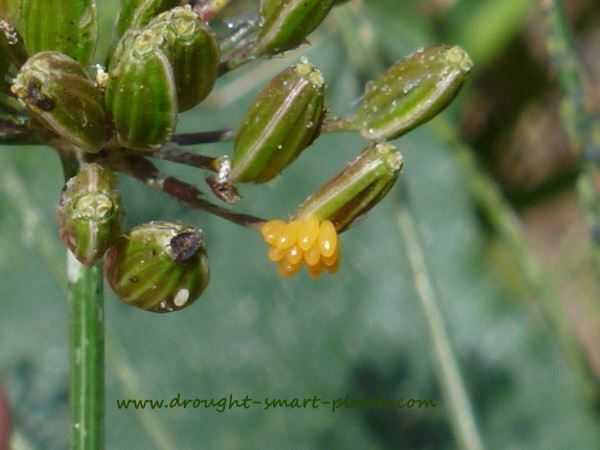 Identifying the eggs and young of beneficial insects is essential, as they look nothing like the adults. Everyone recognizes the bright red or orange black polka dotted adults, but the larvae look like tiny charcoal grey alligators scuttling busily around. Other predators look completely innocuous, even beautiful, like the dainty fragile seeming Lacewing. 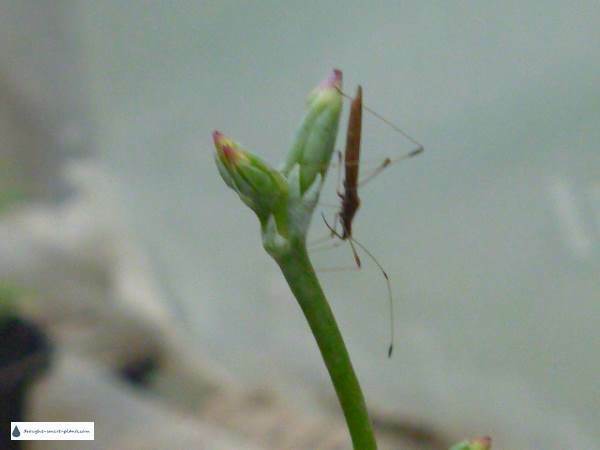 Its appetite is voracious for aphids and other prey insects. 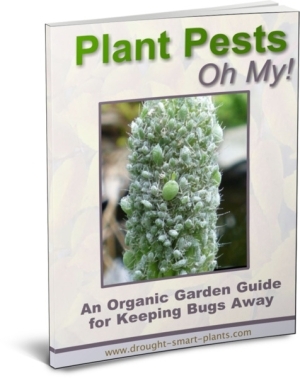 Preying Mantises, predatory mites and ladybug beetles are all available in egg form by mail order to be released into the garden or greenhouse as organic pest control. They arrive in the mail attached to a card which is placed in the area to be patrolled. 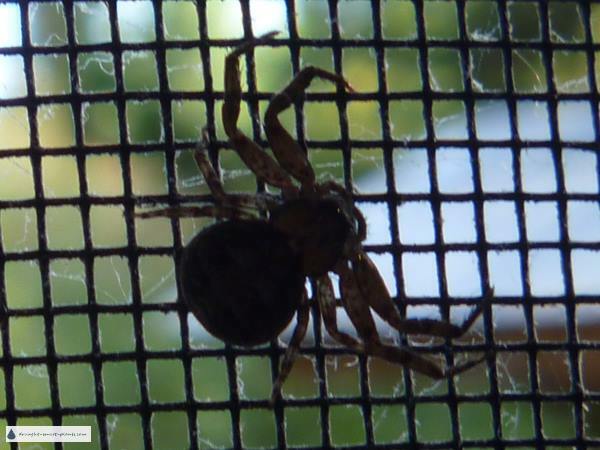 Using this form of pest control is environmentally friendly, with no side effects, even if they escape from confinement. It’s important to determine if there are high enough numbers of pests for the beneficial insects to prey on, as the predators will quickly die or move on once their food source is gone. 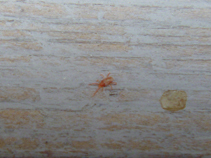 This is particularly true with predatory mites as even if there are enough of them to start with, they are so efficient that they will clean up almost 90% of the pest and die of starvation. Equally crucial is not to use any other form of pest control, either chemical or organic, as this can kill the predators. Catching pests using sticky traps can give you an accurate idea of how big the population is, and if it’s worthwhile to invest in some egg cases. The system of using traps and observation of the plants to decide on a pest control method is called Integrated Pest Management or IPM for short. Since this system first came into being in the 1980’s, there has been a huge reduction of the use of chemical pesticides in commercial greenhouses and nurseries due to the more accurate forecasting of life cycle fluctuations in pest population. 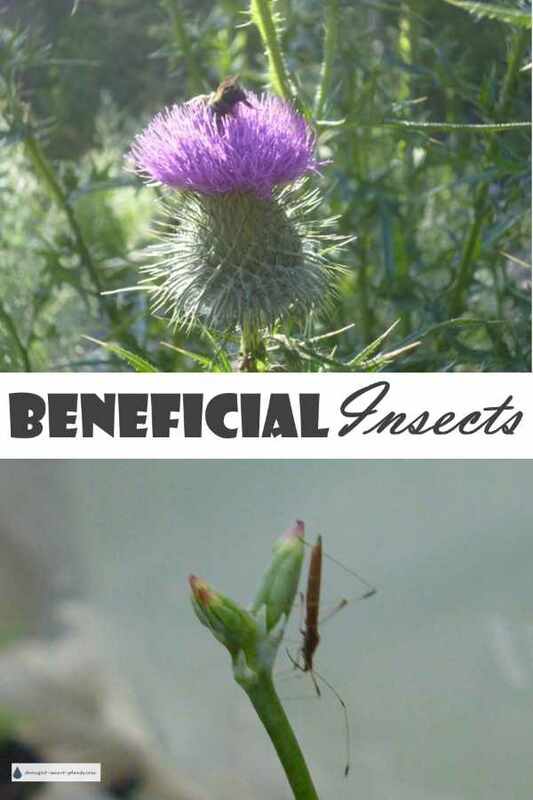 Integrated Pest Management used in combination with the introduction of beneficial insects enables many enterprises to no longer use any chemicals, instead relying on our allies to efficiently take care of the pests for us. Find out what your bug is on the Insect Encyclopedia. Crickets of all kinds keep lots of pests in check, including the tiny and slow moving California Snow Cricket. Dragonflies are something we always see flying around the garden endlessly in the summer months, but seldom think much of. 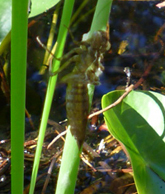 They are a fascinating insect, spending their youth as nymphs in ponds where they eat mosquito larvae for one or more years until they mature, climb out of the water onto a reed, and hatch into their adult form; a dragonfly. And last but not least, spiders, although not technically an insect, get rid of a phenomenal number of pests throughout the year. This one is called an Elegant Crab Spider, I kid you not. Bees are one of the most misunderstood of beneficial insects. There are so many different kinds, from tiny wild native bees that live solitary lives, to hives of honeybees. See more about honeybees on Glory Bees blog.